Practice your tattooing techniques without touching real skin! Build your confidence, strengthen your hand, improve your line work, perfect your blending, shading and color work, or use it to just show off your work! Ink It! 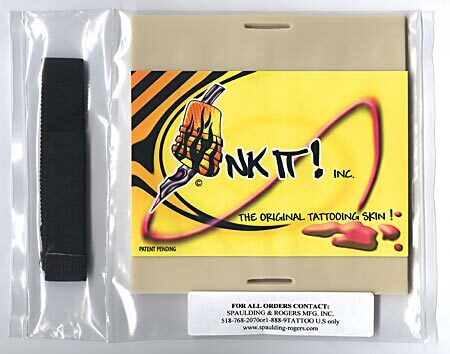 Tattooing Practice Skin measures 6" x 6", can be used on both sides, and can be stenciled or drawn on freehand with a ball point pen or marker. Strap it onto a part of the body and begin tattooing. Remove excess ink with vaseline. Tattoo is permanent. It acts just like real skin!